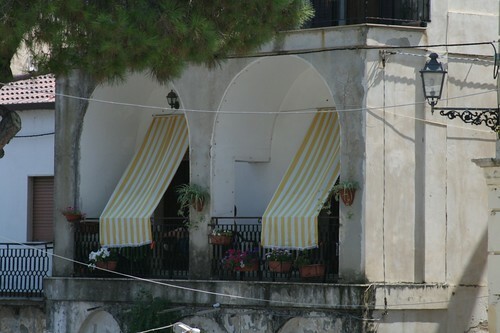 I do love that balcony with that shade ! 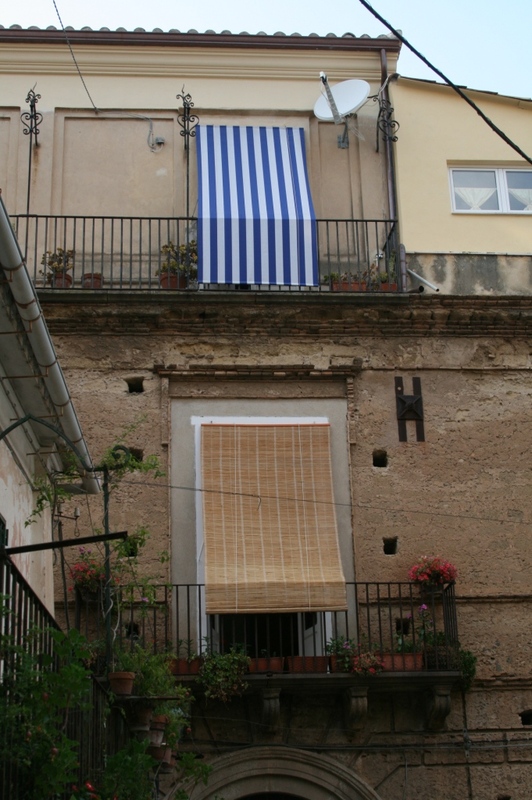 I posted it before when I was musing about how to handle the sun with inside window shutters and difficult curtain situation. In Italy do like the Italians do. 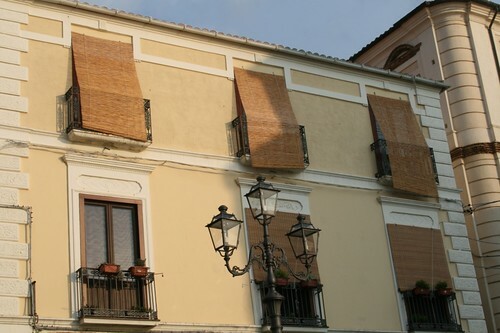 So I looked around and found all these bamboo shades on balconies. You have shade and air at the same time. You can look out but no one can look in. It is a pretty and very affordable solution. Even the inhabitants of the nicest palazzi in town use this solution. 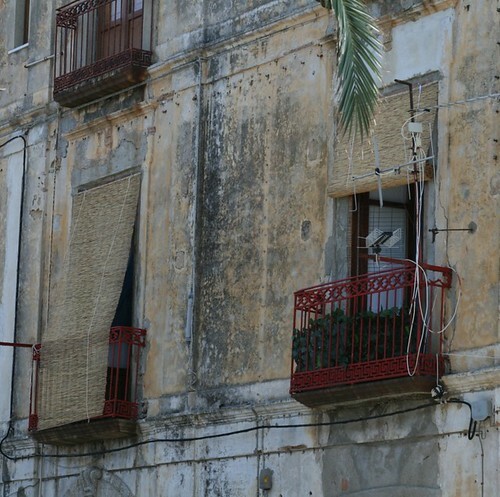 The lower floor (above pic) with the white shutters show exactly my situation. 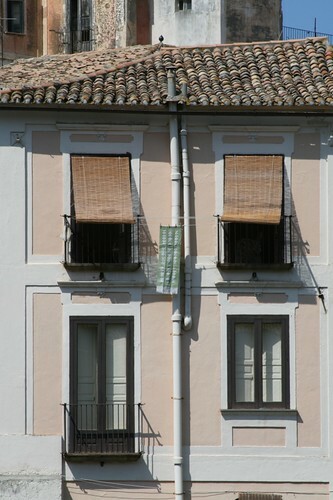 You can roll the shades up and down easily - like interior blinds. 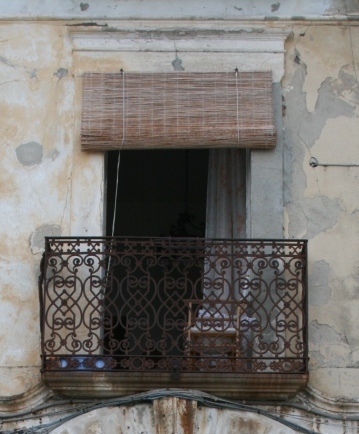 In this palazzo one inhabitant is using a bamboo shade and his above neighbour is using a fabric shade. I definately prefer the bamboo shade. For those who want to see another fabric alternative. Not bad either. As you can guess, I am a fan of bamboo shades. How could I not, after having lived 8 years in Asia ?! All above pictures were taken in Pizzo (VV).